This outfit is almost a complete copy of this one from the summer, except I've modified if for autumn/winter with the boots! I'm wearing an olive green shirt from Forever21, Ted Baker pink/rose gold pants and H by Hudson ankle boots. To be honest though, I think it's getting a bit too cold for this blouse as I was FREEZING even with the sleeves rolled down (and this was indoors by the way)! So I'm probably going to retire this to the spring/summer wardrobe soon. This past week has been insanely busy. Today we spent the whole day shooting a special episode for MEV with a few other lovely YouTubers which started at 8am and didn't end till 5. This was all while operating on about two hours sleep as we had a crazy late night last night and then Eduardo decided to pull a fast one after weeks of sleeping through...argh!! But we struggled through and came out the other end exhausted, but alive! So that's why my posts have been awfully late but next week's schedule doesn't look as jam-packed so hopefully I will be able to get these up a bit earlier! Aside from the fact that this month always seems to FLY by, I do love this time of the year :) There's no beating Christmas time! I can't wait to celebrate Eduardo's first Christmas and our first as a complete family! 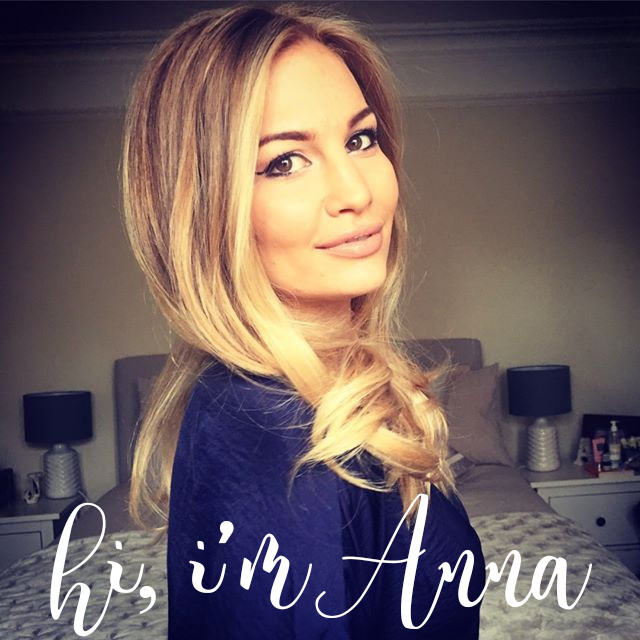 I LOVE your blog Anna it so cool i read it everyday. Emilia and Eduardo are so CUTE. Emilia is so cute on how she poses for the camera. i watch you channel and the Sacconejoly channel everyday it makes me so happy to watch your videos. when i sad or upset i always turn to your blog or you channel it just put a BIG SMILE on my face!